With Autism and Aspergers the limitations in the areas of communications and social skills are normally very clearly present before three years of age. With a child of this age that has Autism or Aspergers you will normally find that they have a limited attention span, poor motivation levels, can quite often be anxious and they tend to respond differently than other children to many different things around them. Quite often they are observed as different to other children. These children tend to respond better to a routine and can become agitated if that routine changes without warning. They can also have obsessive behaviours and rituals that many don’t understand. More often than not their speech is quite delayed or even completely absent. High Functioning Autism is a term used to usually describe a child or adult who can meet some but not all of the criteria that defines Autism. Asperger Syndrome is normally used to describe children or adults who have some classic signs of Autism but not the main traits that define it. Often they will talk at a normal age but their comprehension and use of language is often impaired as they get older. Normally during their primary school years this becomes quite noticeable. Often they are misunderstood due to the meanings they associate with words to express themselves. These children can also have problems with social skills and making friends but are usually in the average intelligence range. 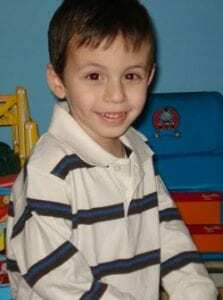 Pervasive Developmental Disorder (PDD) is the diagnosis given for children who present with some of the characteristics of either Autism or Aspergers Syndrome, but not severe enough for a diagnosis of either of these conditions. Previously this was referred to as Atypical Autism. Rick Collingwood has developed a range of Children’s sleep stories that have been proven to be exceptionally beneficial to children with Autism and Aspergers. They have been designed to make living with Autism easier for children and parents alike. Rick Collingwood is one of the world’s leading mind clinicians. His ‘Life Improvement’ CDs have sold more than a million copies world wide and Rick has appeared as a guest on almost every major TV & Radio show in his home of Australia as well as internationally on Good Morning America, NBC Today, KTLA and Coast to Coast AM. Rick is officially qualified and accredited in: Dip Hypnosis, Dip Adv Hypnosis, Dip 1-2 Counseling, Dip Mental Health, B.A. Counseling, Cert IV Workplace Training & Assessment. He has worked extensively with Autism and ADD-ADHD children throughout his 15 years as an experienced mind clinician. These are specifically designed to induce the deepest state of relaxation through spoken voice, classical music and Neurosonic™ Frequencies. In this relaxed state, each program progresses into a positive metaphorical story that introduces more positive and beneficial ideas, suggestions and patterns aimed at the child’s subconscious mind. The content on each audio title is specifically designed to target key areas prevalent for Autistic children and quite literally begin to change the way they think and do even the most common of tasks at the deepest level. Using special Neurosonic™ Frequencies, classical music and a human heartbeat, these music programs are purely designed to achieve deep relaxation and better sleep. The Neurosonic™ Frequencies replicate the Theta brainwave resonance through musical frequency thus ensuring the deepest and most profound relaxation experience each time the child listens. Consistent deep relaxation and a good sleep is imperative, especially for children with Autism, because it helps them achieve greater clarity, focus and direction in day to day life. The relaxation aspect of the program allows direct communication with the subconscious part of the child’s mind. This part of the mind is responsible for the majority of the automated patterns and behavioral characteristics of children who are Autistic. Using positive metaphorical stories in a way that children will more easily understand and absorb, the audios are able to instigate change at a deep and permanent level. With repeated use, new and better patterns and decision making processes are formed, and subsequently become a part of the child’s natural instinct. You will find that after your child has heard several of the different sleep stories that they will ‘choose’ one that they like best. With the studies done so far we have found that whichever story the child chooses tend to be the one that their mind connects with the most. We have found that they choose their favourite story on a subconscious level as it is their subconscious mind that knows what it needs to ‘connect the dots’ so to speak and move forward. This is the story of Tommy & Kerry, and how they overcame their obstacles to make changes they never thought they would ever be able to make. This CD is formatted to help children who suffer form the limitations of disability and illness live more happily and healthily. It is useful for all types of limitations including Autism, Down Syndrome, Aspergers, MS, Dyslexia, ADD, ADHD and other type of physical or mental disability. This CD is the perfect foundation for using any of the other Children’s Sleep Stories, as confidence is such an important thing for any child to have before they can make improvements in other developmental areas. Self confidence is absolutely paramount for every child. Almost every other common childhood issue stems from self confidence issue. Using this program is the first step towards building a positive platform for your child’s emotional growth. This positive metaphorical story will help your child discover new abilities within themselves and bring these forth. It will help them let go of anything that is emotionally holding them back from being the best that they can be. The many positive metaphors in the story will build their self confidence and esteem significantly by communicating to them in a way that they understand and are interested in hearing. It will help your child release any fears they are holding in emotionally and always look on the brighter side of life. The characters in the story represent personal change as Moral evolves into an eagle, demonstrating on a deeper subconscious level to your child that it is possible to fly high like the eagle. Also in the story are many metaphors demonstrating how to make the right choices and to associate with other good children, not bad ones. It will show them that it is fun to be surrounded by good solid supportive people and the importance of choosing the right friends to help their path in life. A Positive Sleep Story to Improve School and Learning for any Child. This bed time or quiet time story is suitable for children between the ages of 2 to 13. It follows two lion cubs and their journey of discovery and knowledge through the older lions of their pride to understand why school and learning are an important part of life and how to maximize their educational experiences. This positive metaphorical story teaches children that learning from their parents, teachers and their friends is fun and exciting. It will help your child to have a better outlook to school, homework and studying. It also teaches them solid foundations that what they learn can always be remembered and that they should never be scared, nervous or think they are ‘dumb’ or ‘not good enough’ to remember what they are being taught. This is a great story that can be used of night time while your child sleeps or during the day when they have 45 minutes of ‘quiet time’. Many parents actually enjoy sitting back with their child and listening to the story with them. Simply play at least one of the audio programs every day to your child for 6 days straight, then have a break on the 7th day. Repeat this for a minimum of 8 weeks. The best time to listen is just before and whilst they sleep or when they have quiet time during the day. The audio CD can be played through a stereo or headphones at a volume that is comfortable for them. Click here to read a beautiful story about Andrew and his results from using the CD’s.